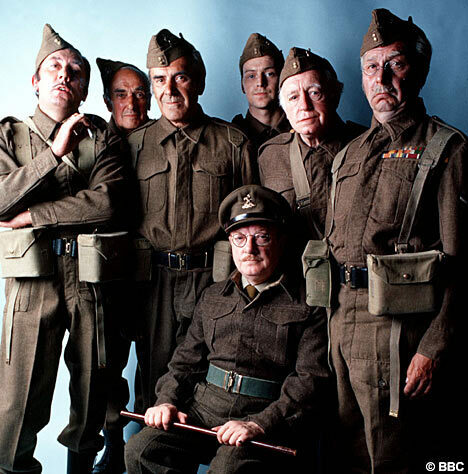 Waffle On about Dad's Army A classic TV series from the late 60's made in the UK. Dad's Army tells the wonderful tale of the Home Guard during World War 2, full of warmth, humour and good old British stiff upper lip nonsense. Meds and Kell waffle on about how much they enjoy this classic tv series which ran for nine series and featured the talents of Arthur Lowe, John Le Mesurier, Clive Dunn, Arthur Ridley, John Laurie, James Beck, Bill Pertwee, Frank Williams and Ian Lavender. Remember we have a Facebook page you can find that here https://www.facebook.com/groups/waffleon/ feel free to join the group page. If you fancy donating to the show (£1 or $1) you can find a donate button on the podbean page.